Selected as a Chemical Science 2018 Hot Article! Also written up in the Peak Newspaper! 73. Clarke, R.M. ; Jeen, T.; Rigo, S.; Thompson, J.R.; Kaake, L.G. ; Thomas, F.; Storr, T., Exploiting Exciton Coupling of Ligand Radical Intervalence Charge Transfer Transitions to Tune NIR Absorption, Chem. Sci., 2018, 9, 1610-1620. DOI: 10.1039/C7SC04537A. 72. Zhang, C.; Gomes, L. M. F.; Zhang, T.; Storr, T. A Small Bifunctional Chelator that Modulates Aβ42 Aggregation, Can J. Chem. 2018, 96, 78-82. DOI: 10.1139/cjc-2017-0623. 71. Chiang, L.; Wasinger, E.C. ; Shimazaki, Y.; Young Jr., V.; Storr, T.; Stack, T.D.P., Electronic Structure and Reactivity Studies of a Nonsymmetric One-electron Oxidized Cu(II) Bis-phenoxide Complex, Inorg. Chim. Acta., 2018, 481, 151-158. DOI: 10.1016/j.ica.2017.09.042. For the special issue on bio-inorganic and bio-inspired chemistry of copper. 69. Kawamoto, K.; Tamiya, Y.; Storr, T.; Cogdell, R. J.; Kinoshita, I.; Hashimoto, H. Disentangling the 1MLCT transition of [Ru(bpy)3]2+ by Stark absorption spectroscopy, J. Photochem. Photobiol. A: Chemistry, 2018, 353, 618-624. DOI: 10.1016/j.jphotochem.2017.08.025. 68. Clarke, R.M. ; Herasymchuk, K; and Storr, T., Electronic Structure Elucidation in Oxidized Metal Salen Complexes, Coord. Chem. Rev., 2017, 352, 67-82. DOI: 10.1016/j.ccr.2017.08.019. 66. Leconte, N., Moutet, J., Herasymchuk, K., Clarke, R.M., Philouze, C, Luneau, D., Storr, T., Thomas, F., Mn(IV) and Mn(V)-radical Species Supported by the Redox Non-innocent bis(2-amino-3,5-di-tert-butylphenyl)amine Pincer Ligand. Chem. Commun., 2017, 53, 2764-2767. DOI: 10.1039/C7CC00516D. 65. Miller, J.J., Gomes, L.M.F., Storr, T., Casini, A., The Interaction of Metal Compounds with Protein Targets: New Tools in Medicinal Chemistry and Chemical Biology. Encyclopedia of Inorganic and Bioinorganic Chemistry., 2017, DOI: 10.1002/9781119951438.eibc2499. 54. Chong, E., Xue, W., Storr, T., Kennepohl, P., Schafer, L. L. Synthesis of a 2-pyridonate titanium(III) complex using benzylamine as a simple reductant. Organometallics, 2015, 34, 4941-4945. 51. 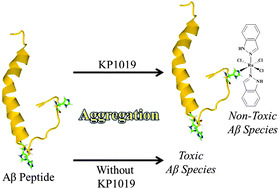 Jones, M. R., Mu, C., Wang, M. C. P., Webb, M. I., Walsby, C., Storr, T. Modulation of the Aβ peptide aggregation pathway by KP1019 limits Aβ-associated neurotoxicity. Metallomics, 2015, 7, 129-135. DOI: 10.1039/C4MT00252K . 50. Alaji, Z., Safaei, E., Chiang, L., Clarke, R. M., Mu., C., Storr, T., A new copper complex of a non-innocent iminophenol-amidopyridine hybrid ligand: synthesis, characterization, and aerobic alcohol oxidation. Eur. J. Inorg. Chem., 2014, 35, 6066-6074. DOI: 10.1002/ejic.201402687. 49. Kawai, M, Yamaguchi, T., Masaoka, S., Tani, F., Kohzuma, T., Chiang, L., Storr, T., Ogura, T., Szilagyi, R. K., Shimazaki, Y. Influence of ligand flexibility on the electronic structure of oxidized Ni(III)-phenolato complexes, Inorg. Chem. 2014, 53, 10195-10202. DOI: 10.1021/ic501181k. Article featured on the cover with an accompanying article highlighting our collaborations with Prof. Fabrice Thomas's group in Grenoble, France! Book Chapter: Jones, M. R., Duncan, D., Storr, T. Introduction to Ligand Design in Medicinal Inorganic Chemistry, in T. Storr (Ed. ), Ligand Design in Medicinal Inorganic Chemistry (2014). Chichester, UK: Wiley. 42. Huang, R., Langille, G., Gill, R. K., Li, C. M. J., Mikata, Y., Wong, M. Q., Yapp, D. T., Storr, T. Synthesis, Characterization, and Biological Studies of Emissive Rhenium-Glutamine Conjugates. J. Biol. Inorg. Chem. 2013, 18, 831-844, DOI 10.1007/s00775-013-1023-3. 41. Dunn, T. J., Chiang, L., Ramogida, C. F., Hazin, K., Webb, M. I., Katz, M. J., Storr, T. Class III Delocalization and Exciton Coupling in a Bimetallic Bis-ligand Radical Complex. Chem. Eur. J. 2013, 19, 9606-9618. DOI: 10.1002/chem.201300798. 40. Inkster, J. A. H., Lin, K., Ait-Mohand, S., Gosselin, S., Bénard, F., Guérin, B., Pourghiasian, M., Ruth, T., Schaffer, P., Storr, T., 2-Fluoropyridine prosthetics for the 18F labeling of bombesin analogues. Bioorg. Med. Chem. Lett., 2013, 23, 3920-3926. http://dx.doi.org/10.1016/j.bmcl.2013.04.060. 39. Balaghi, S. E., Safaei, E., Chiang, L., Wong, E. W. Y., Savard, D., Clarke, R. M., Storr, T., Synthesis, Characterization and Catalytic Activity of Copper(II) Complexes containing a Redox-Active Benzoxazole Iminosemiquinone Ligand, Dalton Trans., 2013, 42, 6829-6839, DOI: 10.1039/C3DT00004D. 38. Dunn, T. J., Webb, M. I., Hazin, K., Verma, P., Wasinger, E. C., Shimazaki, Y., Storr, T., Double Oxidation Localizes Spin in a Ni Bis-Phenoxyl Radical Complex, Dalton Trans., 2013, 42, 3950-3956, DOI: 10.1039/C2DT32632A. 37. Asami, K. Tsukidate, K., Iwatsuki, S., Tani, F., Karasawa, S., Chiang, L., Storr, T., Thomas, F., Shimazaki, Y., New Insights into the Electronic Structure and Reactivity of One-Electron Oxidized Copper(II)-(Disalicylidene)diamine Complexes, Inorg. Chem., 2012, 51, 12450-12461, DOI: 10.1021/ic3018503. 36. Kochem, A., Chiang, L., Baptiste, B., Philouze, C., Jarjayes, O., Storr, T., Thomas, F., Ligand-Centered Redox Activity in Cobalt(II) and Nickel(II) Bis(phenolate)-Dipyrrin Complexes. Chem. Eur. J., 2012, 18, 14590-14593, DOI: 10.1002/chem.201202882. 35. Jones, M. R., Service, E. L., Thompson, J. R., Wang, M. C. P., Kimsey, I. J., DeToma, A. S., Ramamoorthy, A., Lim, M. H., Storr, T., Dual-Function Triazole-Pyridine Derivatives as Inhibitors of Metal-Induced Amyloid-b Aggregation. Metallomics, 2012, 4, 910-920, DOI: 10.1039/C2MT20113E. (Cover art for Emerging Investigators issue see editorial). One of the top 25 most read articles in 2012! 34. Chiang, L., Kochem, A., Jarjayes, O., Dunn, T. J., Vezin, H., Sakaguchi, M., Ogura, T., Orio, M., Shimazaki, Y., Thomas, F., Storr, T., Radical Localization in a Series of Symmetric Ni(II) Complexes with Oxidized Salen Ligands. Chem. Eur. J., 2012, 18, 14117-14127, DOI: 10.1002/chem.201201410. 33. Inkster, J. A. H., Liu, K., Ait-Mohand, S., Schaffer, P., Guérin, B., Ruth, T., Storr, T. Sulfonyl Fluoride-Based Prosthetic Molecules as Potential 18F Labelling Agents, Submitted to Chem. Eur. J., 2012, 18, 11079-11087, DOI: 10.1002/chem.201103450. 32. Zhou, W., Chiang, L., Patrick, B. O., Storr, T., Smith, K. M., Cyclopentadienyl Chromium Diimine and Pyridine-Imine Complexes: Ligand-Based Radicals and Metal-Based Redox Chemistry. Dalton Trans., 2012, 41, 7920-7930, DOI: 10.1039/C2DT30160A. 30. Chiang, L., Jones, M. R., Ferreira, C. L., Storr, T., Multifunctional Ligands in Medicinal Inorganic Chemistry- Current Trends and Future Directions. Curr. Top. Med. Chem., 2012, 12, 122-144, DOI:10.2174/156802612799078973. 29. Mikata, Y., Takahashi, K., Noguchi, Y., Naemura, M., Ugai, A., Itami, S., Yasuda, K., Tamotsu, S., Matsuo, T., Storr, T. Synthesis of Rhenium(I) Tricarbonyl Complexes with Carbohydrate-Pendant Tridentate Ligands and their Cellular Uptake. Eur. J. Inorg. Chem., 2012, 217-225, DOI: 10.1002/ejic.201190115. 28. Verma, P., Pratt, R. C., Storr, T., Wasinger, E., Stack, T .D. P. Sulfanyl stabilization of copper-bonded phenoxyls in model complexes and galactose oxidase. Proc. Natl. Acad. USA, 2011, 108, 18600-18605, DOI: 10.1073/pnas.1109931108. 27. Sherren, C. N., Mu, C., McKenzie, I., McCollum, B. M., Brodovitch, J., Percival, P. W., Storr, T., Seddon, K. R., Clyburne, J. A. C., Walsby, C. J. Merging the chemistry of electron-rich olefin (ERO) with imidazolium ionic liquids: generation and detection of a hydrogen- atom adduct of an ERO. Chem. Sci. 2011, 2, 2173-2177, DOI: 10.1039/C1SC00408E. 26. Dunn, T. J., Ramogida, C. F., Simmonds, C., Paterson, A., Wong, E. W. Y., Chiang, L., Shimazaki, Y., Storr, T. Non-Innocent Ligand Behavior of a Bimetallic Ni Schiff-Base Complex Containing a Bridging Catecholate. Inorg. Chem. 2011, 50, 6746-6755, DOI: 10.1021/ic200785g. 25. Allan, L. E. N., Cross, E. D., Francis-Pranger, T. W., Hanhan, M. E., Jones, M. R., Pearson, J. K., Perry, M. R., Storr, T., Shaver, M. P., Controlled Radical Polymerization of Vinyl Acetate Mediated by a Bis(Imino)pyridine Vanadium Complex. Macromolecules, 2011, 44, 4072-4081, DOI: 10.1021/ma200734g. 24. Shimazaki, Y., Arai, N., Dunn, T. J., Yajima, T., Tani, F., Ramogida, C., Storr, T. Influence of the chelate effect on the electronic structure of one-electron oxidized group 10 metal(II)-(disalicylidene)diamine complexes. Dalton Trans. 2011, 40, 2469-2479, DOI: 10.1039/C0DT01574A. 23. Scott, L. E., Telpoukhovskaia, Rodriguez-Rodriguez, C., Merkel, M., Bowen, M. L., Page, B. D. G., Green, D. E., Storr, T., Thomas, F., Allen, D. D., Lockman, P. R., Patrick, B. O., Adam, M. J., Orvig, C. N-Aryl-substituted 3-(b-D-glucopyranosyloxy)-2-methyl-4(1H)-pyridinones as agents for Alzheimer's therapy. Chem. Sci., 2011, 2, 642-648, DOI: 10.1039/C0SC00544D. 22. Storr, T., Verma, P., Shimazaki, Y., Wasinger, E. C., Stack, T. D. P., Ligand radical localization in a non-symmetric one-electron oxidized Ni(II) bis-phenoxide complex. Chem. Eur. 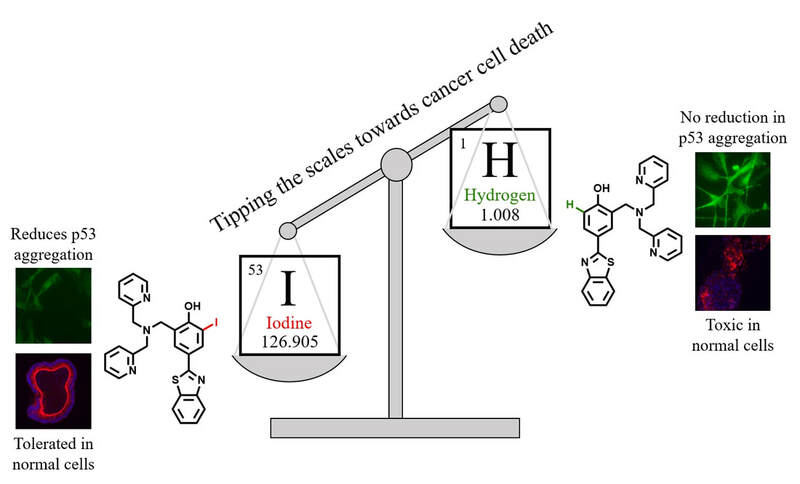 J., 2010, 16, 8980-8983, DOI: 10.1002/chem.201001401. 21. Wong, E., Walsby, C., Storr, T., Leznoff, D. Phthalocyanine as a chemically inert, redox-active ligand: Double C-O bond activation by reduction of PcNbCl3 and structure of a Pc4- anion. Inorg. Chem. 2010, 49, 3343-3350. 20. Ferreira, C., Marques, F. L. N., Okamoto, M. R. Y., Otake, A. H., Sugai, Y., Mikata, Y., Storr, T., Bowen, M., Yano, S., Adam, M. J., Chammas, R., Orvig, C. Cationic technetium and rhenium complexes with pendant carbohydrates. Appl. Rad. Isotopes 2010, 68, 1087. 19. Green, D. E., Bowen, M. L., Scott, L. E., Storr, T., Merkel, M., Böhmerle, K., Thompson, K. H., Patrick, B. O., Schugar, H. J., Orvig, C. In vitro studies of 3-hydroxy-4-pyridinones and their glycosylated derivatives as potential agents for Alzheimer’s disease. Dalton Trans. 2010, 39, 1604-1615. 18. Inkster, J. A. H., Adam, M. J., Storr, T., Ruth, T. J. Labelling of an antisense oligonucleotide with [18F]FPy5yne, Nucleosides, Nucleotides and Nucleic Acids, 2009, 28, 1131-1143. 17. Shimazaki, Y., Stack, T. D. P., Storr, T., Detailed evaluation of the geometric and electronic structures of one-electron oxidized group 10 (Ni, Pd, and Pt) metal(II)-(disalicylidene)diamine complexes, Inorg. Chem., 2009, 48, 8383-8392. 16. Storr, T., Scott, L. E., Bowen, M. L., Green, D. E., Thompson, K. H., Schugar, H. J., Orvig, C., Glycosylated tetrahydrosalens as multifunctional molecules for Alzheimer’s therapy, Dalton Trans. , 2009, 3034-3043. 15. Storr, T., Verma, P., Pratt, R. C., Wasinger, E. C., Shimazaki, Y., Stack, T. D. P., Defining the electronic and geometric structure of one-electron oxidized copper-bis-phenoxide complexes , J. Am. Chem. Soc., 2008, 130, 15448-15459. 14. Masood, A., Storr, T., Stack, T. D. P., Synthesis, characterization and copper chemistry of a non-symmetric phenanthroline ligand: 2-methyl-9-(3,5-dimethyl-N-pyrazolylmethyl)-1,10-phenanthroline, Inorg. Chim. Acta., 2008, 361, 1142-1148. 13. Dooley, B. M., Bowles, S. E., Storr, T., Frank, N. L. , Synthesis of neutral spin-delocalized electron acceptors for multifunctional materials, Org. Lett., 2007, 9, 4781-4783. 12. Storr, T., Wasinger, E. C., Pratt, R. C., Stack, T. D. P. , The geometric and electronic structure of a one-electron-oxidized Ni(II) bis-(salicylidene)diamine complex, Angew. Chem. Int. Ed., 2007, 46, 5198-5201. 11. Storr, T., Merkel, M., Song-Zhao, G. X., Scott, L. E., Green, D. E., Bowen, M. L., Thompson, K. H., Patrick, B. O., Schugar, H. J., Orvig, C., Synthesis, characterization, and metal coordinating ability of multifunctional carbohydrate-containing compounds for Alzheimer’s therapy, J. Am. Chem. Soc., 2007, 129, 7453-7463. 10. Schugar, H., Green, D. E., Bowen, M. L., Scott, L. E., Storr, T., Böhmerle, K., Thomas, F. Allen, D. D., Lockman, P., Merkel, M., Thompson, K. H., Orvig, C., Metal passivation as a strategy for combating Alzheimer's disease, Angew. Chem. Int. Ed., 2007, 46, 1746-1748. 9. Ferreira, C. L., Bayly, S. R., Green, D. E., Storr, T., Barta, C. A., Steele, J., Adam, M. J., Orvig, C., Carbohydrate-appended 3-hydroxy-4-pyridinone complexes of the [M(CO)3}+ core (M = Re, 99mTc, 186Re), Bioconjugate Chem., 2006, 17, 1321-1329. 8. Storr, T., Thompson, K. H., Orvig, C., Design of targeting ligands in medicinal inorganic chemistry, Chem. Soc. Rev., 2006, 35, 534-544. 7. Mohammadi, K., Thompson, K. H., Patrick, B. O., Storr, T., Martins, C., Polishchuk, E., Yuen, V. H., McNeill, J. H., Orvig, C. , Synthesis and characterization of dual function vanadyl, gallium and indium curcumin complexes for medicinal applications, J. Inorg. Biochem, 2005, 99, 2217-2225. 6. Storr, T., Cameron, B. R., Gossage, R. A., Yee, H., Skerlj, R. T., Darkes, M. C., Fricker, S. P., Bridger, G. J., Davies, N. A., Wilson, M. T., Maresca, K. P., Zubieta, EDTA and DTPA polyaminocarboxylate analogues of Ru (III) and their use as nitric oxide scavengers, Eur. J. Inorg. Chem., 2005, 2685-2697. 5. Storr, T., Sugai, Y., Barta, C. A., Mikata, Y., Yano, S., Adam, M. J., Orvig, C. , Carbohydrate-appended 2,2’-dipicolylamine metal complexes as potential imaging agents, Inorg. Chem., 2005, 44, 2698-2705. 4. Storr, T., Fisher, C. L., Mikata, Y., Yano, S. Adam, M. J., Orvig, C., A glucosamine-dipicolylamine conjugate of Tc-99m(I) and Re-186(I) for use in imaging and therapy, Dalton Trans. , 2005, 654-655. 3. Storr, T., Obata, M., Fisher, C. L., Bayly, S. R., Green, D. E., Brudzinska, I., Mikata, Y., Patrick, B. O., Adam, M. J., Yano, S., Orvig, C., Novel carbohydrate-appended metal complexes for potential use in molecular imaging, Chem. Eur. J., 2005, 11, 195-203. 2. Bayly, S. R., Fisher, C. L., Storr, T., Adam, M. J., Orvig, C., Carbohydrate conjugates for molecular imaging and radiotherapy: 99mTc(I) and 186Re(I) tricarbonyl complexes of N-(2’-hydroxybenzyl)-2-amino-2-deoxy-D-glucose, Bioconjugate Chem., 2004, 15, 923-926. 1. Storr, T., Mitchell, D., Buglyo, P., Thompson, K. H., Yuen, V. H., McNeill, J. H., Orvig, C., Vanadyl-thiazolidinedione combination agents for diabetes therapy, Bioconjugate Chem., 2003, 14, 212-221.